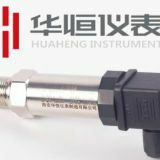 Low cost gauge smart pressure transmitter is standard and most popular transmitter applied in air and liquid pressure measuring. A high sensitivity silicon pressure chip is employed in the sensor. 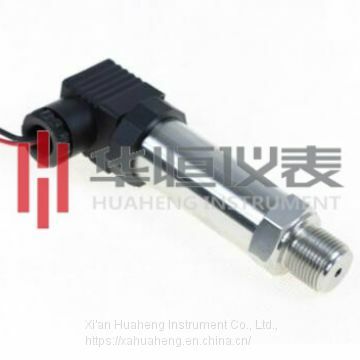 Through the high reliability of amplifying circuit and precise temperature compensation, and perfect assembly process to ensure the quality and performance of the product.This pressure transmitter is designed for industry application with perfect long term stability. 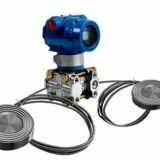 Low cost gauge smart pressure transmitter is widely used in a variety of industrial automation environment, involving water conservancy and hydropower, railway transportation, intelligent building, production control, aerospace, military, petrochemical, oil wells, electricity, ships, machine tools, pipes and many other industries. 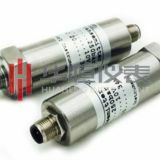 The 2088 Economical Pressure Transmitter is a pressure transmitter with zero and full-scale output that can be precisely calibrated. It is divided into two types: conventional intelligent and standard intelligent. The circuit conversion module is beautifully placed and very popular. Model 2088 case. The sensor uses a ceramic piezoresistive sensor or a diffused silicon sensor with a stainless steel isolation diaphragm. 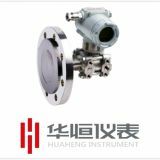 The 2088 economical pressure transmitter can be directly installed on the flange interface of the pressure pipe to be tested. It is convenient for installation and adjustment. A shut-off valve should be installed between the flange interface and the pipe. The influence of the installation position on the zero point can be adjusted, and the measured medium should be compatible with the structural material of the transmitter. The ceramic piezoresistive sensor has no liquid transfer, and the pressure acts directly on the front of the ceramic diaphragm. The sensor has high temperature stability and time stability. The sensor has its own temperature compensation of 0-70 ° C, and can directly with most media. contact. The sensor is small and inexpensive, but the overload pressure is only 1.5 times the standard range. 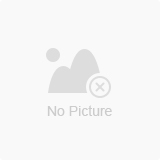 The diffused silicon sensor is a fully welded stainless steel body with a stainless steel isolating diaphragm with a solid-state piezoresistive pressure sensitive chip. The steel body is internally filled with silicone oil. The sensor measures a wide range, small size, wide temperature compensation range, long-term stability and low price.